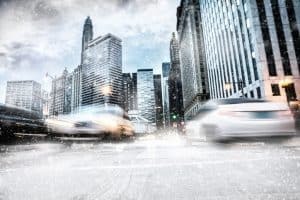 Chicago Winters Mean an Increase Chance of Car Accidents | Gainsberg Law P.C. Our city has some of the most brutal winters in the nation. Even though we are used to it, driving in winter weather never gets easier, especially when it takes you by surprise. Even a light flurry can quickly turn to heavy snow and ice, which means slippery conditions and, unfortunately, car accidents. With the heavy traffic in our city, there is a higher chance for multi-vehicle accidents, and in turn a higher chance for injury and confusion as to who is at fault. Do not go out on the roads this winter without knowing how to handle your car in inclement weather and how to avoid becoming involved in a multi-vehicle wreck. Ensure the following are all working correctly and full: antifreeze, battery, defroster, heater, thermostat, and brakes. Put on snow tires or replace tires with worn treads. Check all vehicle lights, including hazards. Consider replacing your regular wiper blades with winter blades. Clear any blocked wiper fluid nozzles with a pin or needle. Keep a snow scraper and shovel in the car at all times. Keep your cell phone charged and consider having an extra charger. Clear off your vehicle completely whenever you leave your house. An emergency kit with blankets, a first aid kit, water, and some snacks is also a good idea. You will not have to worry about an accident if you do not get into one in the first place. Multi-vehicle accidents tend to occur more often on slippery and icy roadways. Let’s talk about the best ways to avoid them and stay safe, even in ice and snow. Drive slowly. Braking, turning, even accelerating on snow-covered roads takes time. Rush it and you will skid out/lose traction. Keep an increased margin of safety between you and the car in front of you. You will need more time to brake if the vehicle in front of you suddenly stops. Try not to power through (pushing on the gas) hills. You will just spin your wheels and possibly slide back down. Try to get some inertia going beforehand and let it carry you up. Let that same inertia slowly carry you back down. If you are approaching a stop sign or red light, slow down gradually and give yourself a lot of time to get there. In the unfortunate event that you are involved in an accident, put on your emergency lights right away, call authorities, and determine if it is safe to stay with the vehicle. If you have suffered an injury in a Chicago car wreck, the attorneys at Gainsberg Law, P.C., want to help. 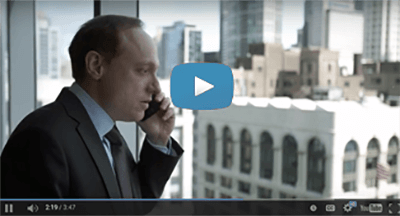 We will guide you through the claims process and fight for compensation. For help with your case, please call us at 312-313-1621 or complete our contact form.